The Public Health Agency of Canada has put together this Toolbox, which contains many practical tools and resources to help make your community more age-friendly. 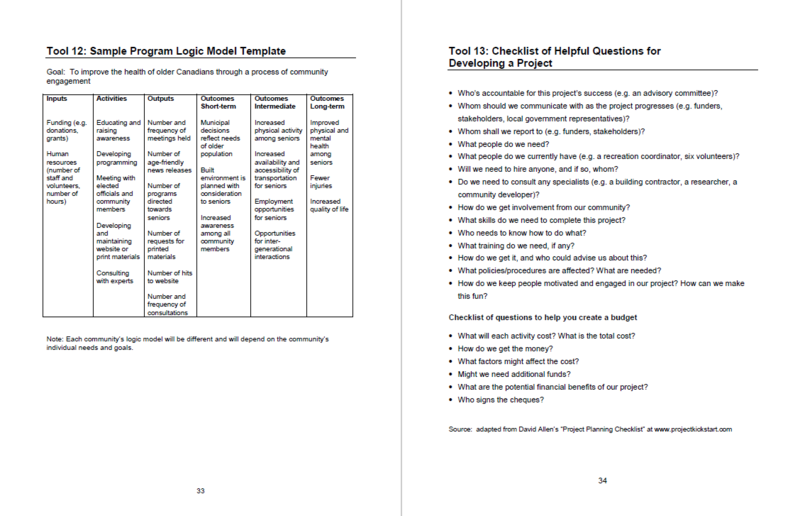 These tools include great examples from across Canada of work plans, time lines, checklists, potential funders and guidelines to help you implement and assess your progress in developing your age-friendly community. This Toolbox is intended for use by seniors, business people, city/town planners, community groups, municipal officials, recreation coordinators and other concerned citizens who are interested in developing or updating strategies for age-friendly communities. It is designed to guide the development and assessment of projects toward the age-friendly goal. Best communication practices are also provided to help deliver age-friendly messages consistently and effectively.